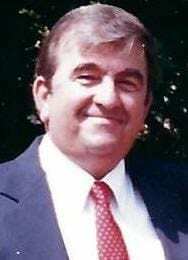 William Brantley Twiford, 78, of Manteo, N.C. died on Monday, July 2, 2018 at Vidant Medical Center in Greenville, N.C. A native of Dare County, he was the son of the late William Glenn Twiford and Doris Earle Hooper. Brantley was a real estate broker, former commercial 5isherman, pilot and flight instructor, to mention just a few of his numerous ventures throughout his lifetime. He was a member of Mt. Carmel United Methodist Church. He enjoyed the outdoors and was an avid hunter and fisherman. Brantley is survived by a daughter, Angela Twiford of Manteo, two sons, William Brantley Twiford, Jr. and wife, Gina and Bradley Kevin Twiford and wife, Julie, all of Manteo; six grandchildren, Laura Szilvagyi, Levi Mabe, Tess Moore, Sarah Szilvagyi, Kassey Twiford and Eric Nixon; and six great grandchildren, Layla, Elijah, Josalynn, Evelyn, Grayson and Kimberly. He was preceded in death by his wife, Sandra Kay Bratton Twiford, daughter, Kim T. Mabe and sister, Patricia Vestal. A funeral will be held at 11:00 a.m. on Monday, July 9, at Mt. Carmel United Methodist Church in Manns Harbor with the Rev. Glenn McCranie officiating. The family will receive friends and relatives Sunday evening, July 8, from 5:00 until 7:00 p.m. at Gallop Funeral Home in Nags Head. In lieu of flowers, the family is requesting memorial donations in Brantley’s honor to offset funeral expenses. Please call 252-216-8030 to make a donation.